Mining companies across the globe now consider the risk of losing their licence to operate as the biggest risk to their businesses in the next two years, a new study shows. According to the 11th annual EY survey of 250 executives, the topic was listed sixth in the list of the ten major risks facing mining and metals firm in 2019-2020. Other challenges named by the participants were rising nationalism, changing community perceptions of mining operations and the impact of automation on the workforce. More than half (54%) of executives questioned name licence to operate (LTO) as the top of the risk, showing an important shift in the industry from profit to social responsibility for first time in the 11-year history of the survey. With the sector seeking to redefine its image as a sustainable and responsible source of the world’s minerals, the report cites rising societal expectations, the impact of advancing technology on stakeholders and a need for greater collaboration with all stakeholder groups as drivers for escalating risk. 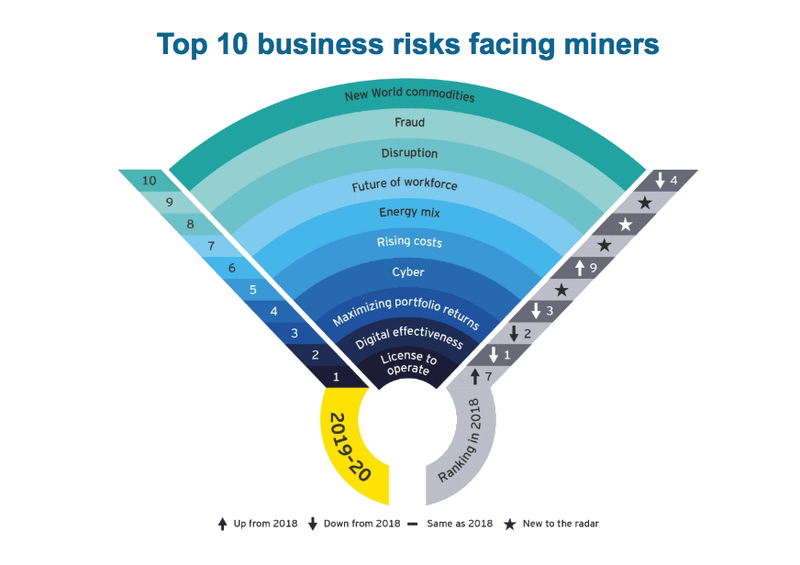 Source: EY Top 10 business risks facing mining and metals in 2019-2020 report. “Licence to operate has evolved beyond the narrow focus of societal and environmental issues. There are now increasing expectations of shared value outcomes from mining projects,” EY global mining and metal advisory leader Paul Mitchell said. Recent examples of this are Indian conglomerate Tahoe Resources, Adani Enterprises and Australian rare earth miner Lynas. 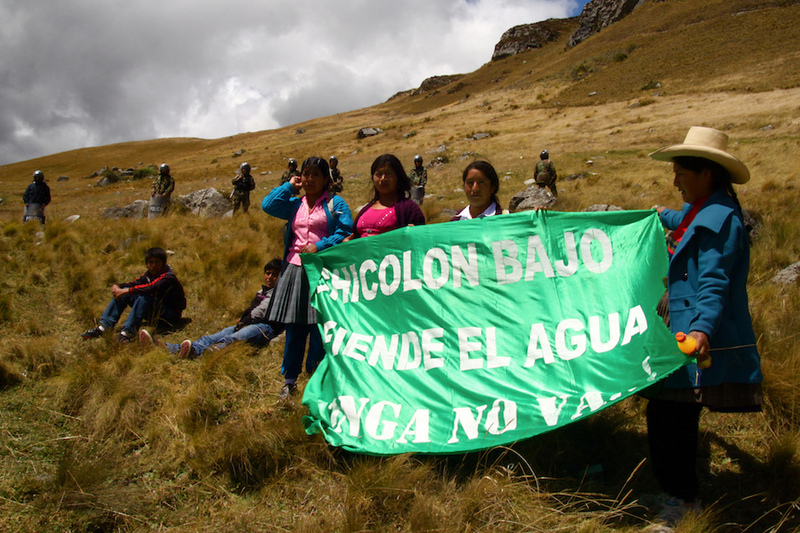 In September, Guatemala's highest court confirmed the suspension of Tahoe Resources’ mining licence for its Escobal silver mine and ordered the Ministry of Energy and Mines (MEM) to carry out an immediate consultation of the local indigenous population. A month later, Adani had to take an 896.4 million rupees ($13.3 million) write-down on its Carmichael coal mine in Australia’s Queensland state due to delays and legal challenges. And this week, Malaysia set a series of conditions to Lynas, including the needed to remove radioactive waste collected as a result of its activities over the past six years, if it wants its licence renewed. Last year’s top risk, “Digital effectiveness,” fell one position to second place in the 2019-2020 ranking. The implementation of innovative technology remains a key challenge to the sector. And while miners are making significant strides in applying digital solutions to single issues, the findings indicate that they are failing to do so across the whole value chain. Mining and metals companies are currently not able to compete with other sectors for tech-savvy talent. A majority of respondents (72%) said they were investing 5% or less of their budgets on digital. Meanwhile, a recent EY poll of more than 600 mining and metals executives, found that 37% of management have little or no knowledge of the digital landscape. Disruption is a new entrant to the report ranking, taking the eighth position. With automation already disrupting workforces, and 31% of respondents stating that technology companies have the potential to play a more dominate role in the sector, disruption is pervasive throughout this year’s top 10 risks. Mining and metals companies are currently not able to compete with other sectors for tech-savvy talent. Some of the lack of competitiveness relates to the need for companies to have a better narrative around their purpose, which will build employer brand and attract a millennial workforce, says EY. “Organizations need to take advantage of the existing workforces’ desire to re-skill. This will also enable some of the change management required to make digital transformation work,” the report concludes.